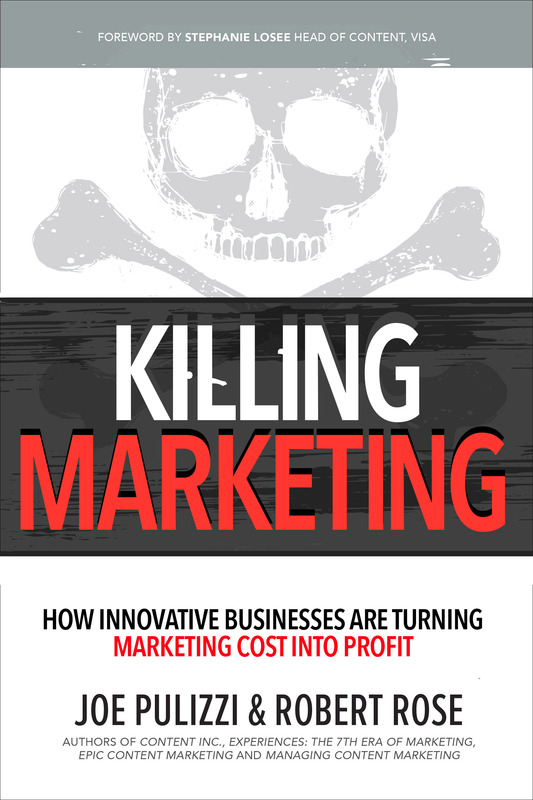 The title of the latest book by Joe Pulizzi and Robert Rose really grabbed my attention: Killing Marketing: How Innovative Businesses are Turning Marketing Cost into Profit. That sounds like a manifesto – and manifestos are fun. I’ve been known, on occasion, to rant about “death to the funnel” and other topics. But Joe and Robert do not disappoint; they love creative marketing and effective content, and want to build a better world incorporating both. And they provide solid advice for how we can get there. As founder of the Content Marketing Institute, Joe Pulizzi was an early advocate of content marketing. He laid out its precepts and practices in his book Epic Content Marketing in 2015, and the role of content for start-ups in Content Inc. He co-authored Managing Content Marketing with Robert Rose, his partner in crime. So perhaps these authors are partly accountable for the dominance this marketing practice. 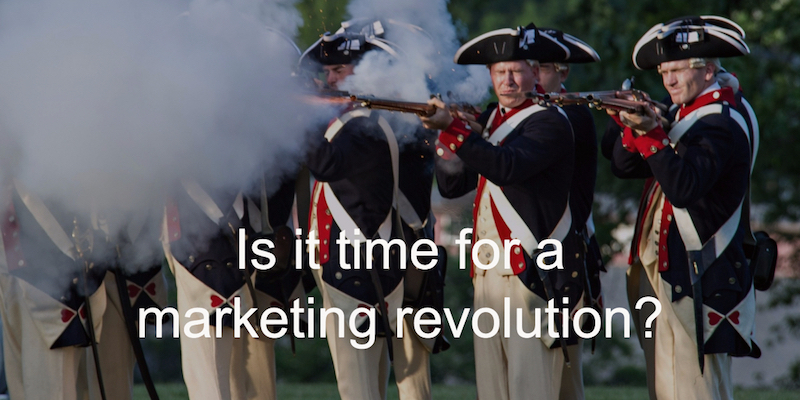 Like all great inventions, content marketing has brought along its share of pain. Marketers today suffer from the burdens of creating and promoting content, often with little direct measure of success. Further, they have to invest more effort each year just to keep pace, while the cost of promoting content continues to rise. In this book, Rose and Pulizzi propose a shift from content as a marketing tactic to content as a business strategy. With this approach, content marketing becomes a business model rather than a cost center. That’s a revolutionary stance. To get there, we will need to stop doing many things, including (gasp) a few current “best practices” you may hold dear. The grand vision is supplemented with stories and examples of those companies forging this new path. It’s a compelling read. Writing collaboration is a fascinating topic, and this book is a great example. 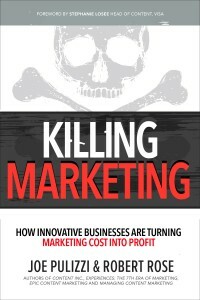 In Killing Marketing, Robert and Joe each write in their own voices, trading off chapters. This is writing as a two-person team sport. It’s fun to watch them pass the ball off as you read. You can hear their unique voices and styles; each contributes considerable experience and perspective. While the voices may vary slightly between chapters, the style and message are consistent. If you listen to their This Old Marketing podcast, you get the sense that they could easily finish each other’s sentences. The hand-offs are never jarring for the reader because the two seem so completely aligned. If you’re looking for easy answers to content marketing conundrums, or three things you can do tomorrow to make an incremental change, then this isn’t the book for you. But if you’re passionate about the possibilities of marketing and genuinely want to contribute to business strategy, this is absolutely the book you should read. It’s thought-provoking and inspiring.